The socio-economic review was undertaken to provide a summary of the social and economic characteristics, issues and trends across three provinces in Indonesia: Nusa Tenggara Timur (NTT), West Nusa Tenggara (NTB) and East Java (EJ). The information in the review was used to complement the commodity literature reviews, providing a more comprehensive understanding of the commodities being selected for detailed value chain analysis. The socio-economic review was prepared using secondary data collected via researchers at the local level. The main sources of statistical data used were the Bureau of Statistics, the Province in Figures annual reports compiled by local government and key donor reports. The report provides an overview of demographic trends in Indonesia and in particular Eastern Indonesia. It covers issues such as: poverty distribution and trends; agricultural production and markets; agribusiness infrastructure; macroeconomics, policy and political economy affecting the agricultural sector; emerging trends and constraints in smallholder commercialisation; and recent major policy and/or regulatory considerations affecting agricultural development. 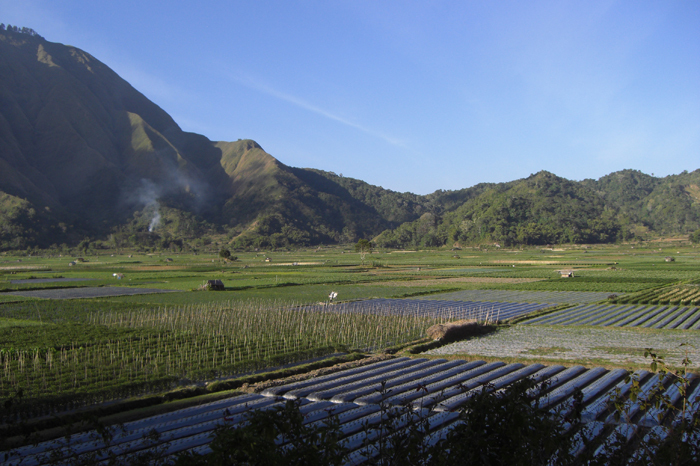 Vegetable production in Sembalun Valley, NTB. Mango roadside retailer, Surabaya, East Java. 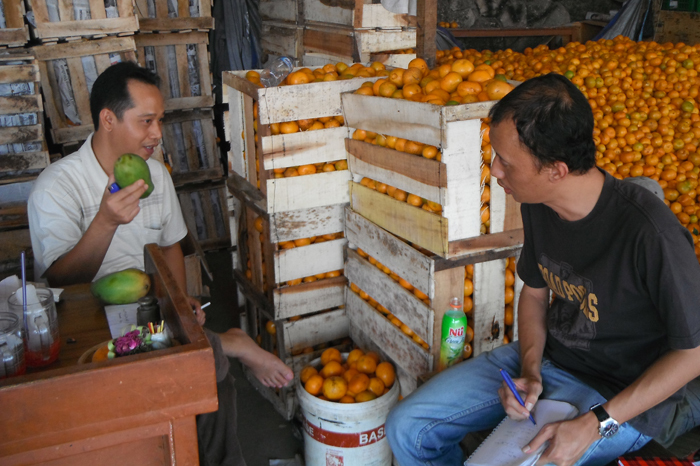 Large fruit wholesaler in Surabaya supplying the local market in East and Central Java. 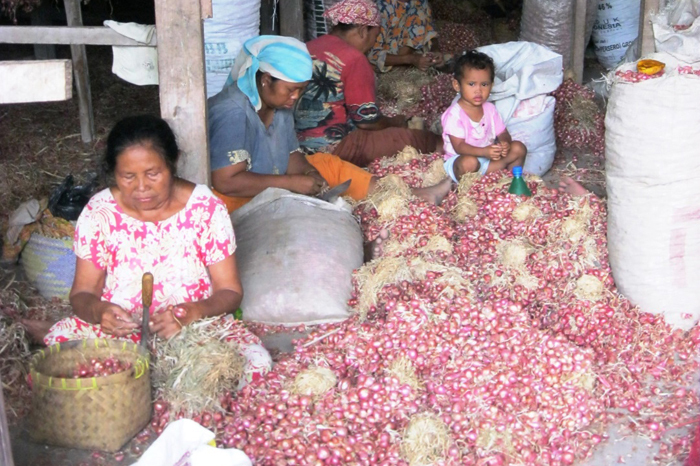 Trimming the leafy tops from shallot in preparation to sell to wholesalers, East Java.